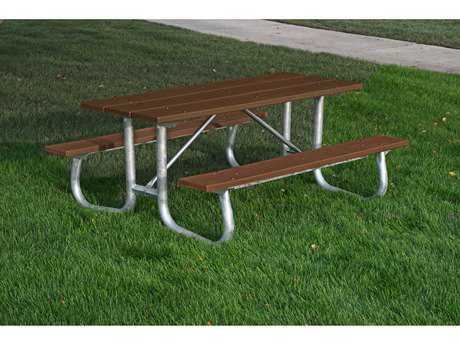 Patio picnic tables refer to patio furnishings comprised of both bench seating and a table surface. 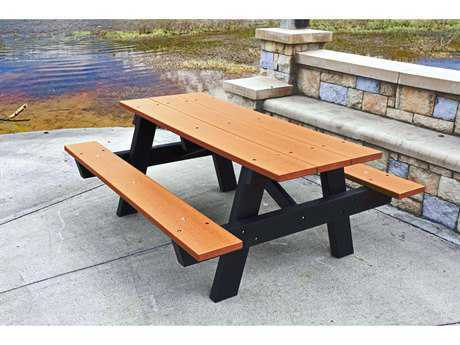 Traditionally constructed from wood and rectangular in shape, this category has been innovated and has recently expanded to include a variety of materials, styles, shapes, and sizes. 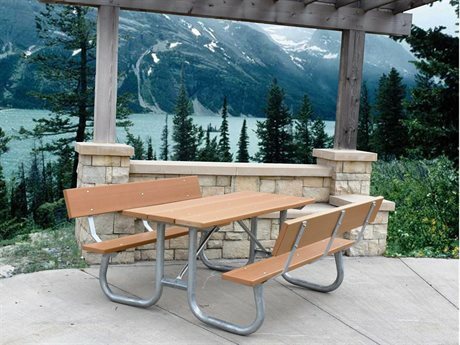 PatioLiving carries a diverse selection of outdoor styles, with many models graded for commercial use, in styles that range from classic to contemporary. 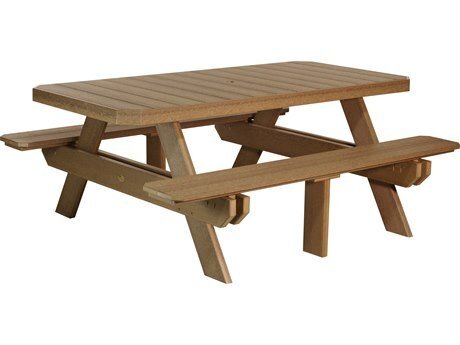 Brands with these styles include Polywood and Frog Furnishings. 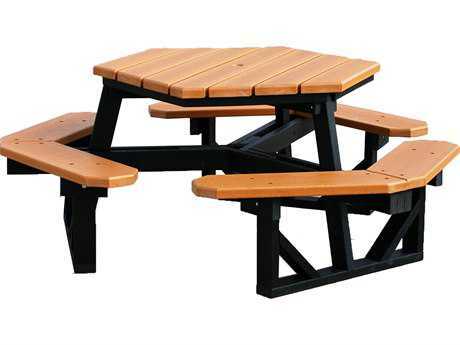 A picnic table can function well in various commercial and residential settings. 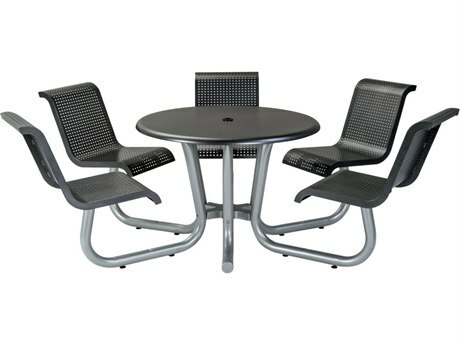 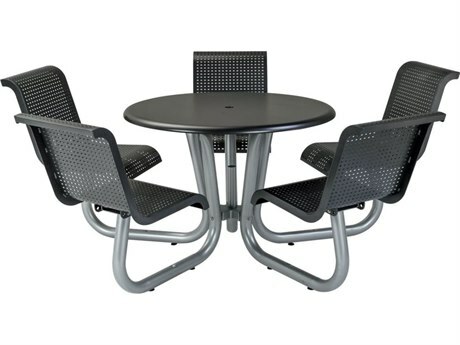 The innovative design of this style of table merges patio seating and dining tables for a single versatile furnishing. 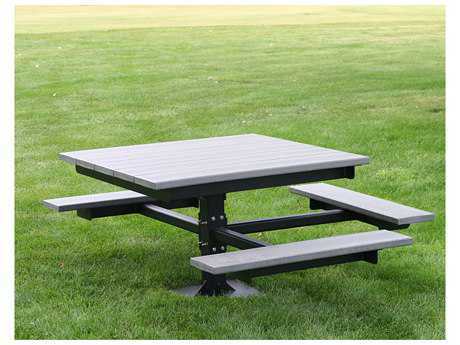 A patio picnic table can efficiently be rearranged or moved in any park, backyard, or deck to accommodate changing needs and occasions. 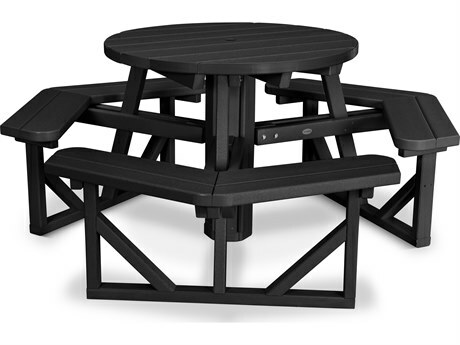 These styles of tables connote a relaxed, casual atmosphere, and are ideal for informal dining, outdoor gatherings, or other miscellaneous use. 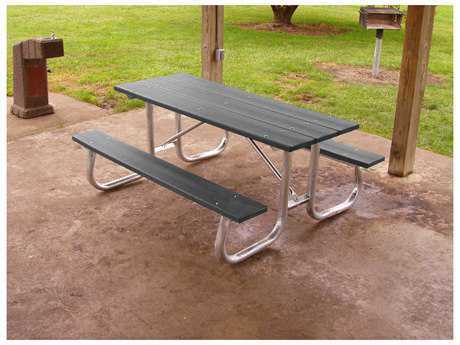 In public parks or commercial venues, these tables can easily be secured with a locked chain, to protect them from theft or other damage. 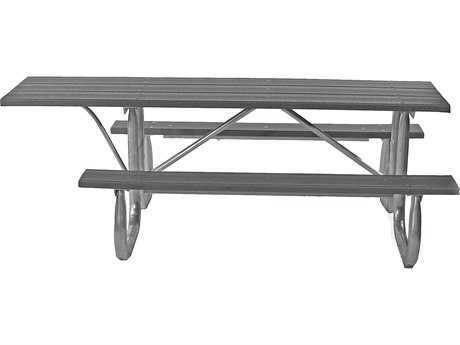 Patio picnic tables can accommodate sizable groups. 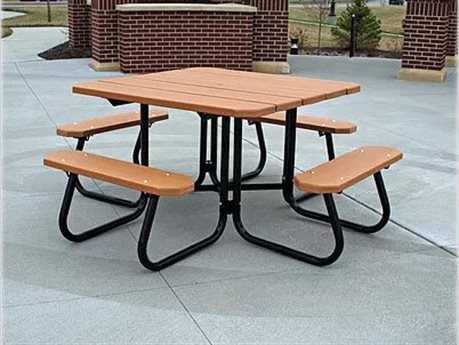 Various available table types include round sets that have a round picnic table, rectangular sets that have a rectangular table, octagon sets that have an octagon shaped table, single-side seating sets, kids picnic table sets, and folding sets. 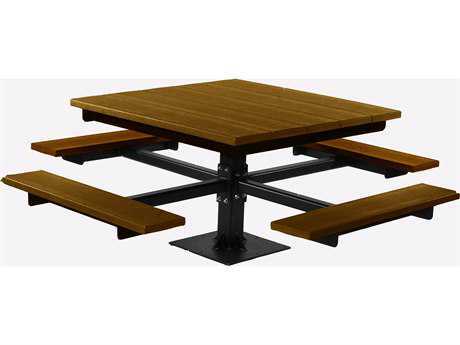 These tables are engineered for year-round outdoor use in inclement climates and are constructed from a variety of weather-resistant materials, from teak to durable metal. 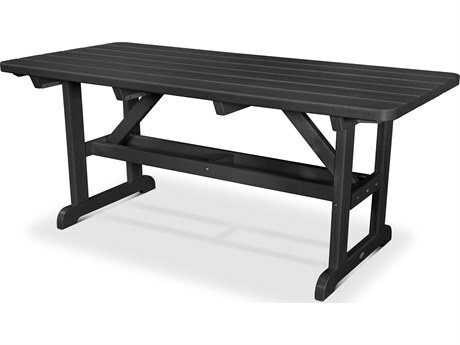 Whether you're looking for wooden picnic tables or metal picnic tables, PatioLiving has what you want. 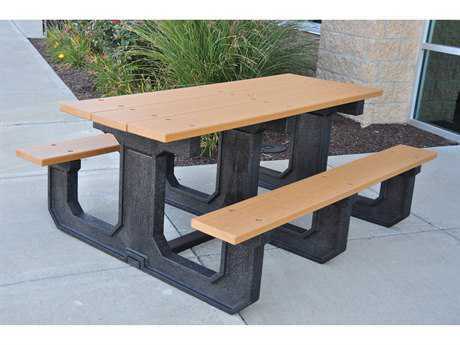 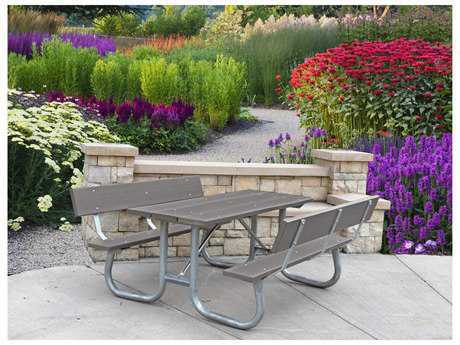 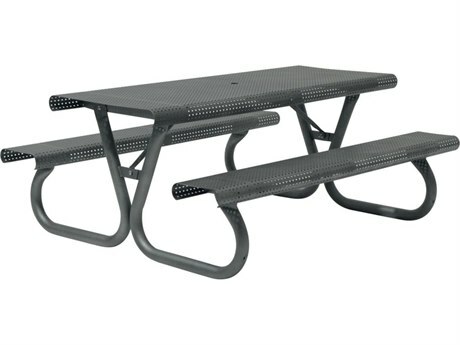 The vast majority of PatioLiving’s patio picnic tables are manufactured from recycled plastic. 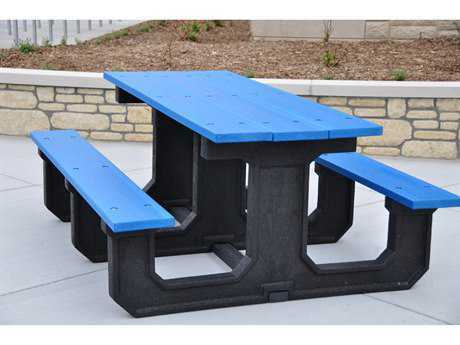 Recycled plastic tables feature vibrant, customizable color options, and long-lasting durability. 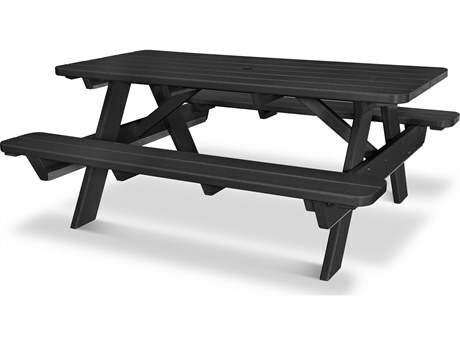 With design elements such as slatted wood-look styling and elegant curved frames, recycled plastic models bring a traditional wood picnic table aesthetic to any setting, with no maintenance required. 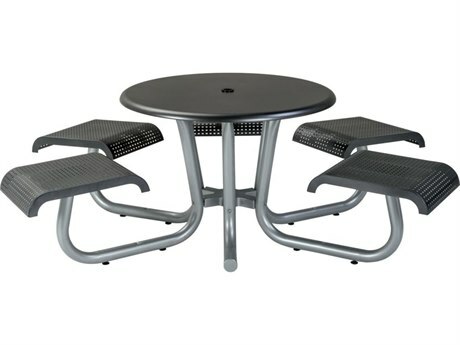 These tables are scratch, splinter, and rust resistant, and their colors will never fade. 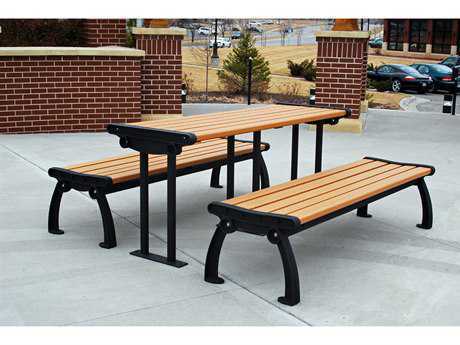 These patio picnic table styles are a purposeful stand-alone furnishing that functions well in numerous outdoor settings. 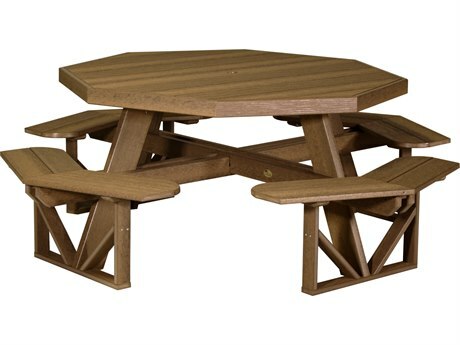 These tables appear well when styled alone and are a versatile and practical furniture solution. 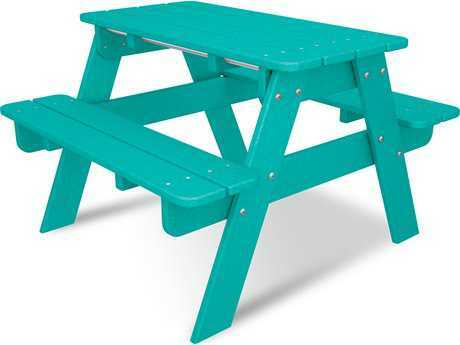 Available colors range from neutral to vibrant hues, making it easy to pick a table that reflects your color tastes. 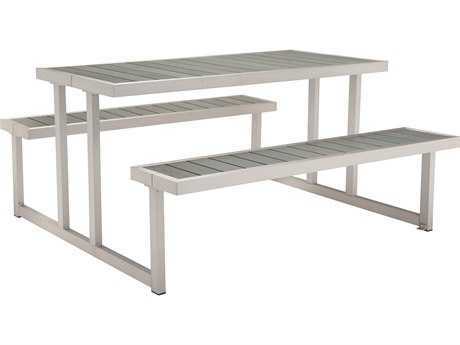 These tables pair well with complementary benches. 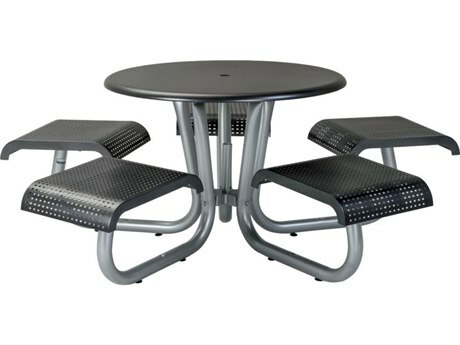 Some of these table styles also feature umbrella holes, making them easy to accessorize with center pole umbrellas. 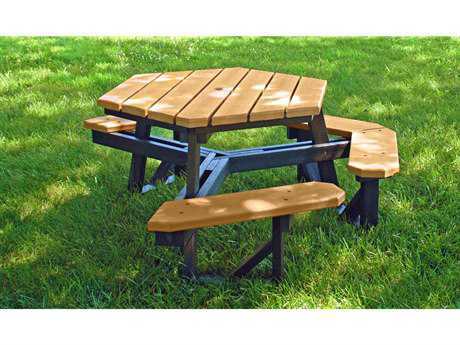 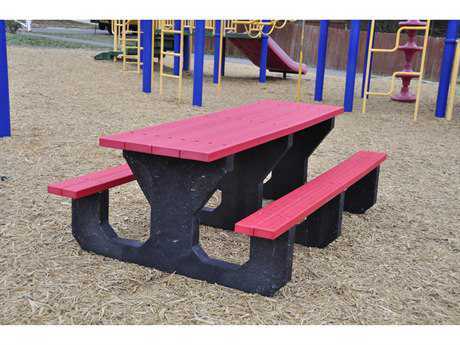 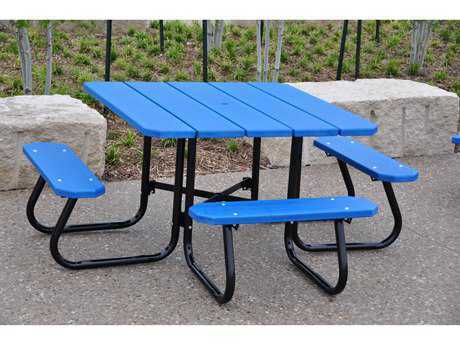 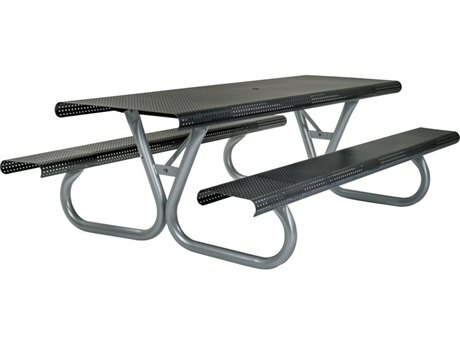 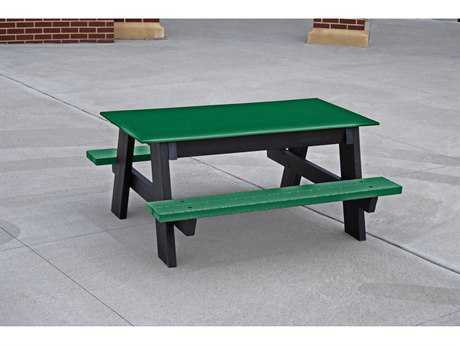 PatioLiving also carries select recycled plastic picnic tables sized for toddler or child use. 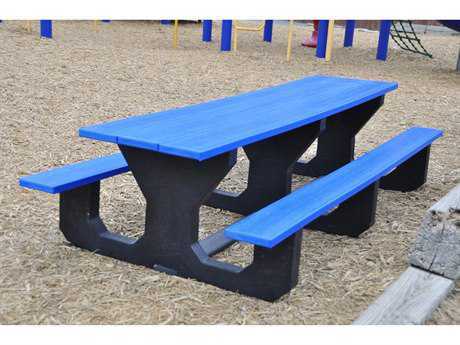 These kid picnic tables can be situated in parks, sandboxes, or directly adjacent to any full-sized furniture arrangement. 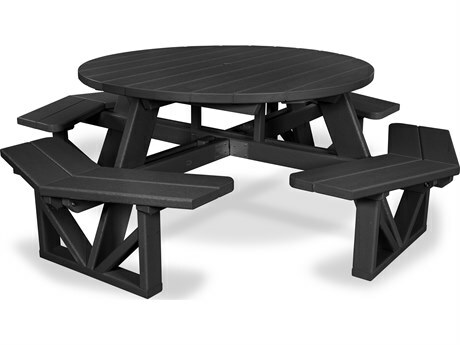 For more details on choosing the perfect patio picnic table to suit your needs, make sure to check out PatioLiving’s Patio Tables Buying Guide.